The purpose of this blog is to assist my readers in preparing for severe weather in order to improve their safety and minimize property loss. So, when we have a high risk of severe weather, please use this time to prepare rather than worry. That said, the potential for violent tornadoes exists in Dallas and into northeast Texas. Yellow is a 10% chance within 25 mi. of any point. 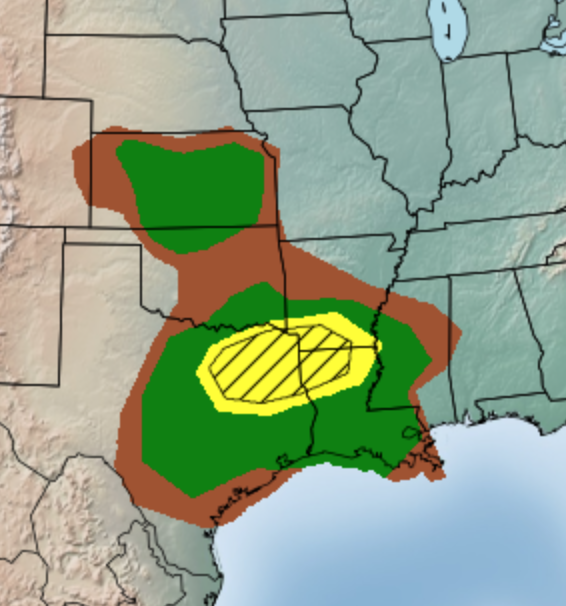 The green areas are a "significant" chance of tornadoes (5%). So, if you live in the green or yellow areas, please keep up on the latest weather information and be prepared to get you and your family to shelter. Severe storms are unlikely before 2pm. 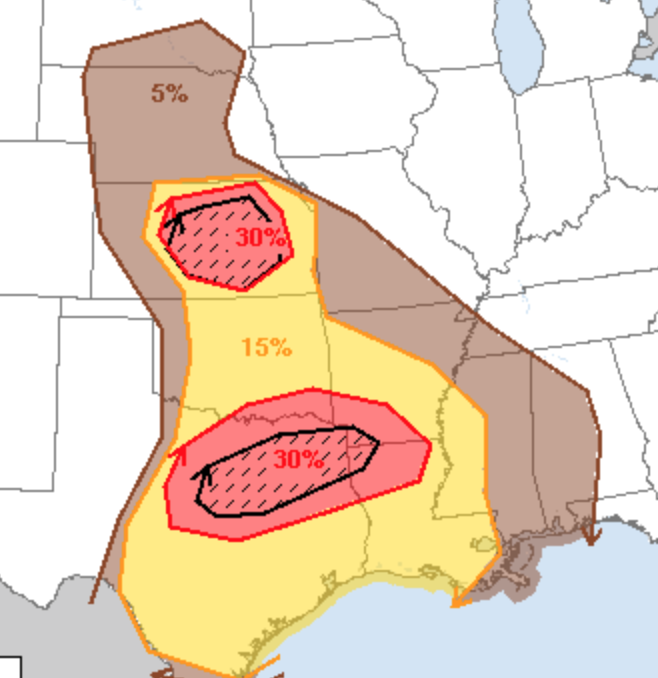 The hail probabilities are quite high with the hatched areas indicating where hail 2" or larger may fall. Please put your car in the garage and bring in anything that could be blown about.